Upgrade your sample storage capacity with bespoke walk-in freezer and fridge solutions. As demand for capacity grows the use of multiple cabinets may not be the best solution. Walk-in rooms can make efficient use of the foot print space and provide more appropriate store systems with greater flexibility than cabinets. C&M Scientific Ltd can: design, install, validate and maintain all manner of walk-in storage environments. Advance from standalone fridges and freezer and upgrade your laboratory to work with your samples in their environment and not yours. Rooms can be big enough to allow for palletised storage minimising handling or allowing unpacking to be contained in controlled conditions. All our walk-in rooms are tailored to meet the needs of the client’s requirement specifications. 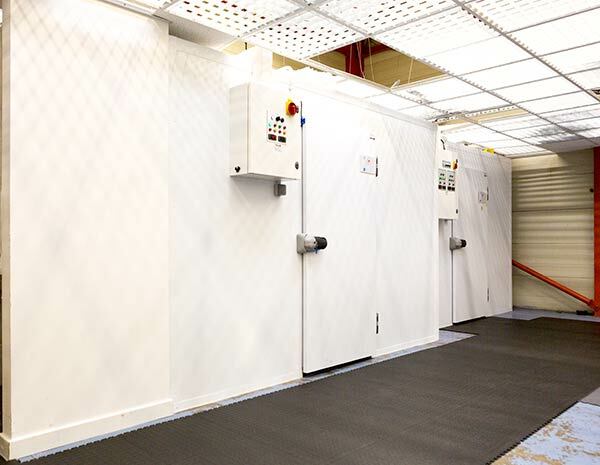 With our thermal mapping services and ISO 17025 options for calibration we can provide a one stop solution for your walk-in storage room. A full range of temperatures is available; contact us to discuss your requirements. C&M Scientific works with laboratories to transform all manner of spaces to operate as walk-in freezers and fridges. We provide custom builds from scratch, constructing controlled storage spaces to your desired specification. Get in touch for a quote today. We provide engineering support to all our walk-in storage spaces. C&M Scientific provides: calibration, vallidation and maintenance services to all our walk-in freezer and fridge equipment and provide internal modular storage solutions you need. Design your bespoke freezer space for your lab. Bespoke freezer space for your lab. 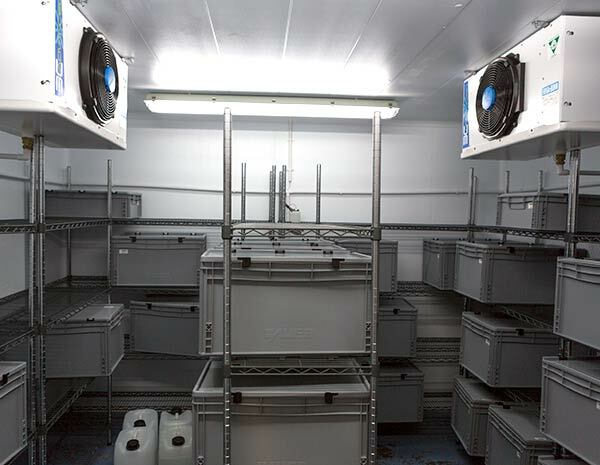 We design bespoke cold storage space to laboratories who want to raise their fridge or freezer space. We can cater to all manner of requirements and specifications. Work with your samples in situ. Upgrade from equipment freezers and fridges. Stop opening doors and chipping through ice and give your samples a stable and controlled environment. Sample storage with modular solutions. Store your various sample sizes and quantities using specific modular storage solutions. Scale and change your storage spaces effectively. C&M Scientific enables you adhere to required laboratory standards and specifications.